This is the website of P. Angelides & Co LLC (“P. 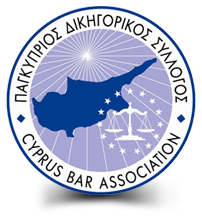 Angelides & Co LLC”), a Lawyers Limited Company registered in Cyprus under Registration Number 337292, with registered office address at 25 Aitolon Street, 1101 Agios Andreas, Cyprus. By using www.angelides.law (the “Website”), you agree to the provisions contained in these Terms and Conditions which govern your use of the Website. If you have any questions about these Terms and Conditions, please contact us at office@angelides.law. These Terms and Conditions may be amended from time to time without notice and any changes will take effect immediately upon publication. By using this Website, you are indicating your agreement to be bound by these Terms and Conditions as may be amended from time to time. The materials contained in this web site are not intended to constitute legal advice relevant to particular circumstances and should not be relied upon as such. Contact with and use of this website does not establish an attorney-client relationship. These materials are provided for information purposes only. Any links to other publicly available web sites are provided as a convenience; P. Angelides & Co LLC makes no representations, claims, promises warranties or undertakings about the accuracy, completeness or adequacy of the information on this Website. Although this Website includes links to other Internet sites, P. Angelides & Co LLC gives no warranties, undertakings or representations in relation to such third party websites and accept no responsibility or liability for the content or information contained on those other sites, nor does it exert any editorial or other control over those other sites. Except as required by law, neither P. Angelides & Co LLC nor its affiliated firms or businesses accept any responsibility and shall not be liable for any damages (direct, indirect, incidental, special, consequential or exemplary), resulting from use of this Website. This includes but is not limited to damages (for loss of profits, goodwill, use, data or other intangible losses) resulting from the use or the inability to use the Website or its contents or from any interruption or delay in access to the Website for whatever reason. All information and material posted on this Website are subject to copyrights owned by P. Angelides & Co LLC and other individuals or entities as defined by law. Any reproduction, retransmission, republication, or other use of all or part of any document found on this Website, including but not limited to, posting, linking, deep linking, or otherwise modifying its contents is expressly prohibited, unless prior written permission has been granted by P. Angelides & Co LLC or the appropriate copyright owner. All other rights reserved. The names, logos, trademarks, and service marks of P. Angelides & Co LLC that appear on this site may not be used in any advertising, publicity, promotion, or in any other manner implying P. Angelides & Co LLC’s endorsement, sponsorship of, or affiliation with any product or service, without P. Angelides & Co LLC’s prior express written permission. This Website and any Other Website contains copyrighted material, trademarks and other proprietary information, including, but not limited to, text, software, photos, video, graphics, music and sound, and the entire contents of the Website are protected by copyright as a collective work under the Republic of Cyprus copyright laws. P. Angelides & Co LLC owns a copyright in the selection, coordination, arrangement and enhancement of such content, as well as in the content original to it. You may not modify, publish, transmit, participate in the transfer or sale, create derivative works, or in any way exploit any of the content, in whole or in part. You may download, print, and save copyrighted material for your personal use only. Except as otherwise expressly stated under copyright law, no copying, redistribution, retransmission, publication or commercial exploitation of downloaded material without the express permission of P. Angelides & Co LLC or the copyright owner is permitted. If copying, redistribution or publication of copyrighted material is permitted, you will make independent attribution and agree to make no changes in or deletion of any author attribution, trademark legend or copyright notice. You acknowledge that you do not acquire any ownership rights by downloading copyrighted material. The Internet is not a secure medium. P. Angelides & Co LLC is committed to ensuring that any information you provide through this Website is as secure as possible. To prevent unauthorised access or disclosure, P. Angelides & Co LLC has in place suitable physical, electronic and managerial procedures to safeguard and secure the information collected online. P. Angelides & Co LLC uses technology to collect information about the use of the Website and to distinguish you from other users of our websites in order to improve your experience when you browse the Website. These Terms and Conditions are governed by the laws of the Republic of Cyprus, the courts of which shall have exclusive jurisdiction over any disputes arising hereunder or from use of the Website.